​by Monday, July 23rd. Or bring-your-own art-making materials. To get to the Native Plant Nursery, turn left after crossing the bridge across the river and proceed a 1/4 mile to a gravel parking area. Continue past the big yellow gate (located north of the parking lot) to the nursery. We will meet in the gravel parking area outside the nursery. No parking pass is required to park at the nursery. Please come to the Lincoln Gallery if paying with cash or bring it with you to the workshop. If paying with a check, please make payable to Oregon Supported Living Program. Thank you! 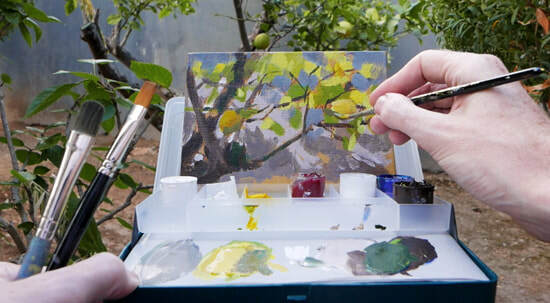 Please click here to make a card payment via our PayPal site, and add a note that it is for the Plein Air Workshop. Thank you! Please bring a water bottle and a sack lunch to enjoy after the workshop. We can have a picnic before heading back to town! ​there is a gravel path to get to them.